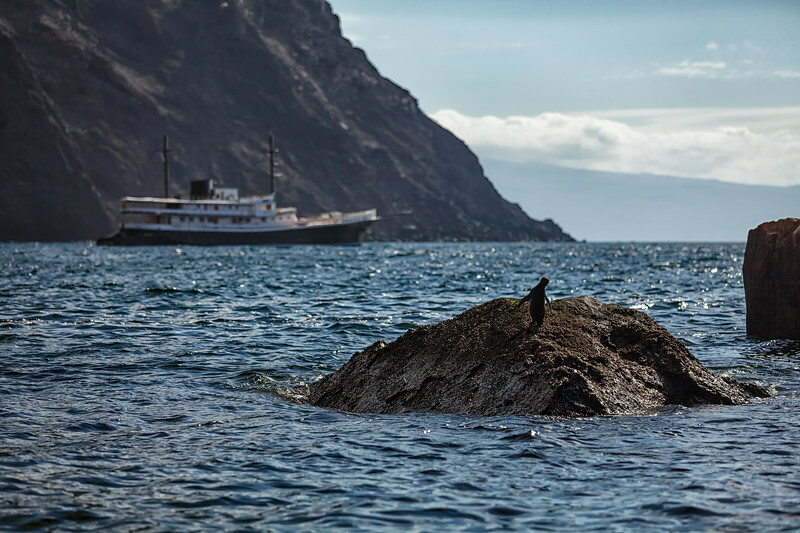 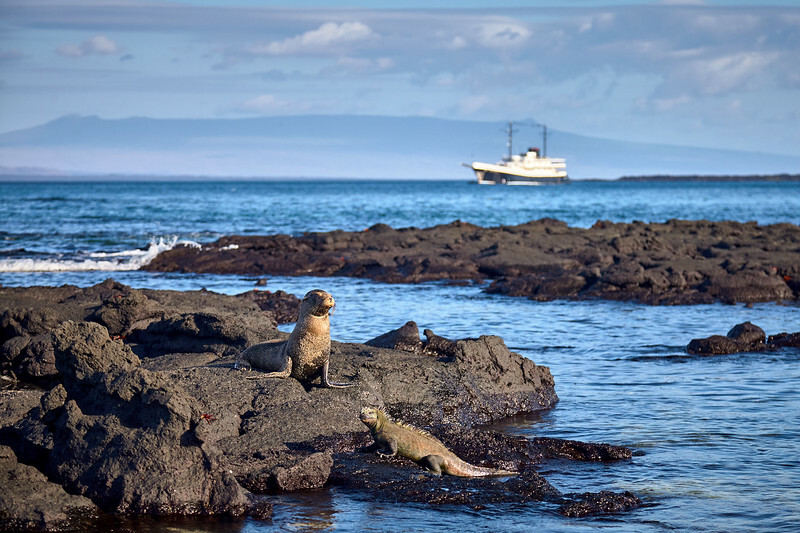 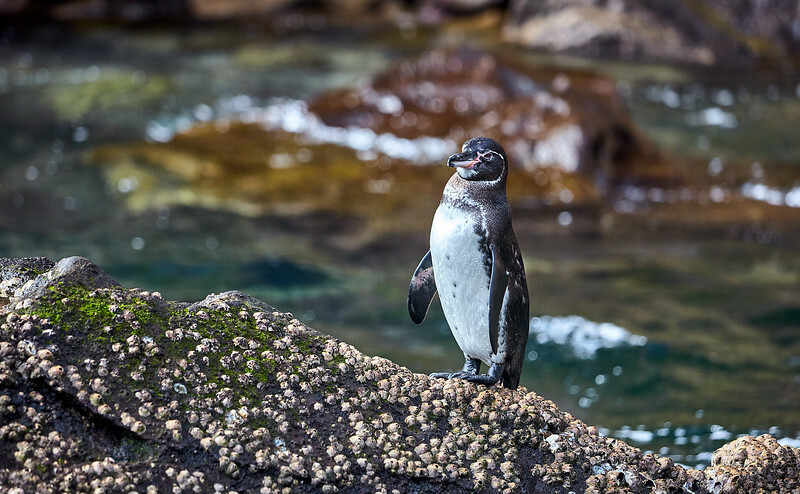 Photos from a one-week cruise through the Galápagos Islands. 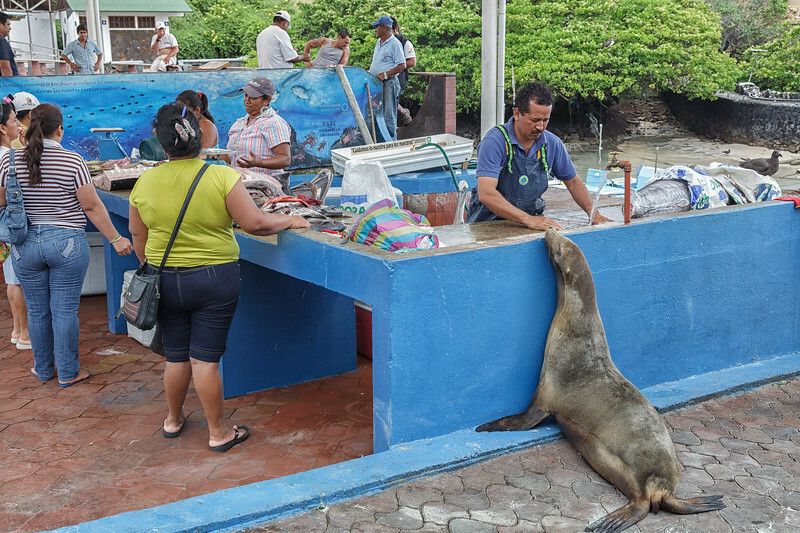 A sea lion waits for scraps at the fish market in Puerto Ayora, Galápagos. 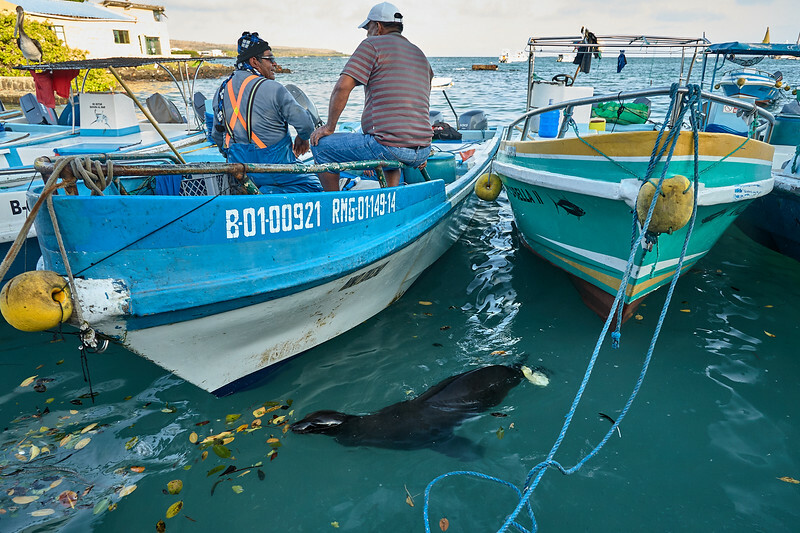 Sea lions always stay close to the fishermen in Puerto Ayora. 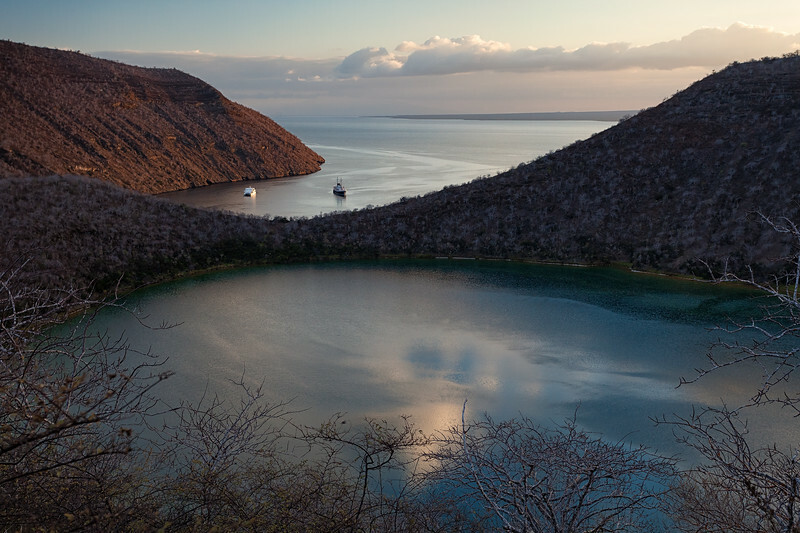 Darwin Lake and Tagus Cove, Isla Isabela. 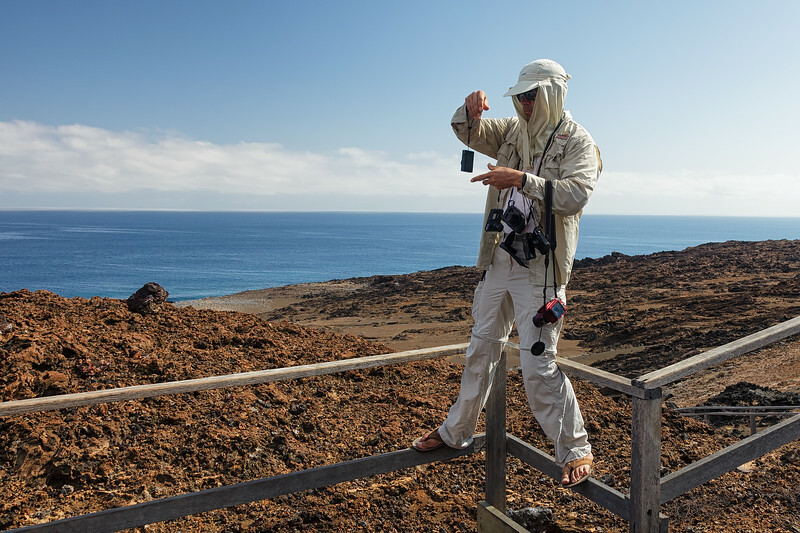 Alex, one of our naturalists, moonlighting as Group Photographer. 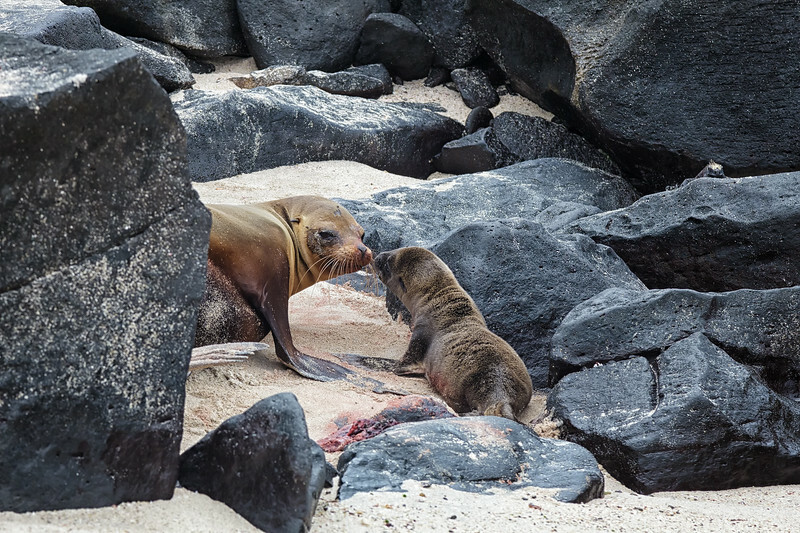 This sea lion pup is only a few hours old - the placenta has not been scavenged by birds yet. 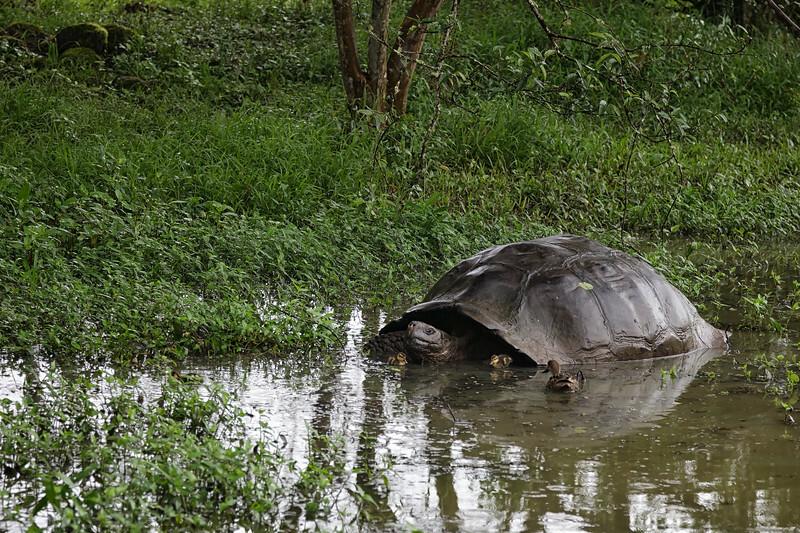 It's only one day old and later in the day will get its first swimming lesson. 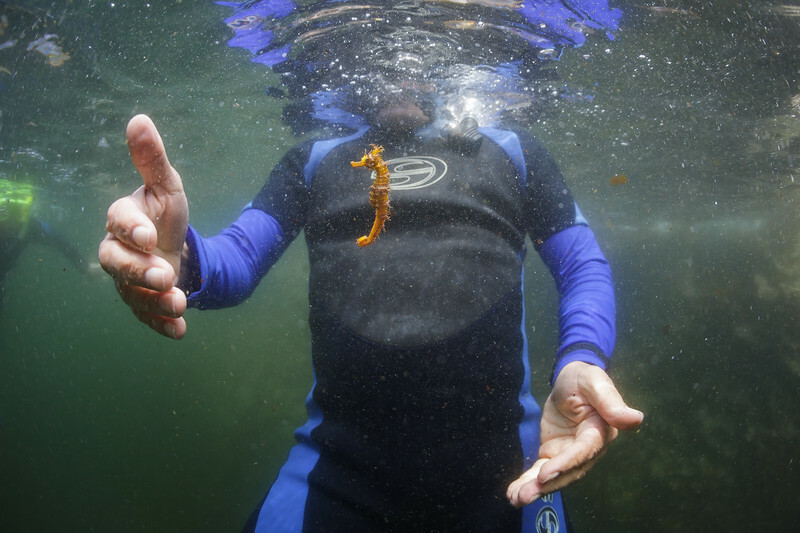 The elusive seahorse in Tagus Cove, Isla Isabela. 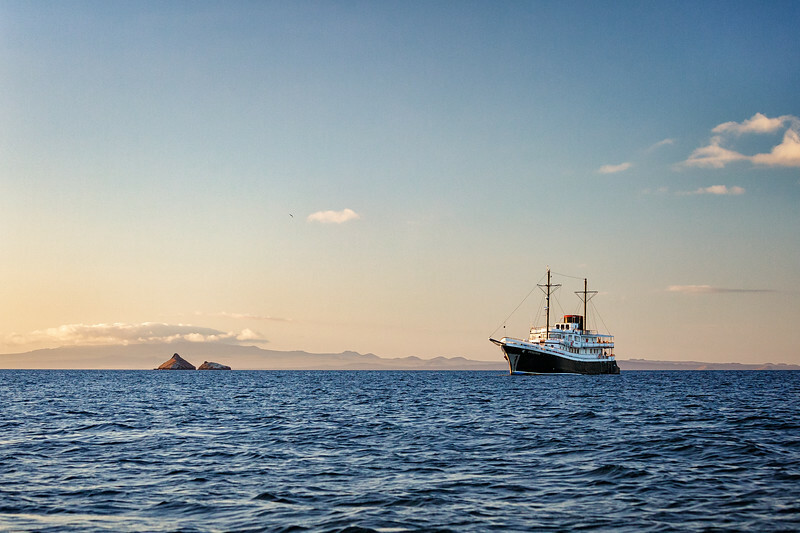 Pinnacle Rock and James Island from Bartoleme Island. 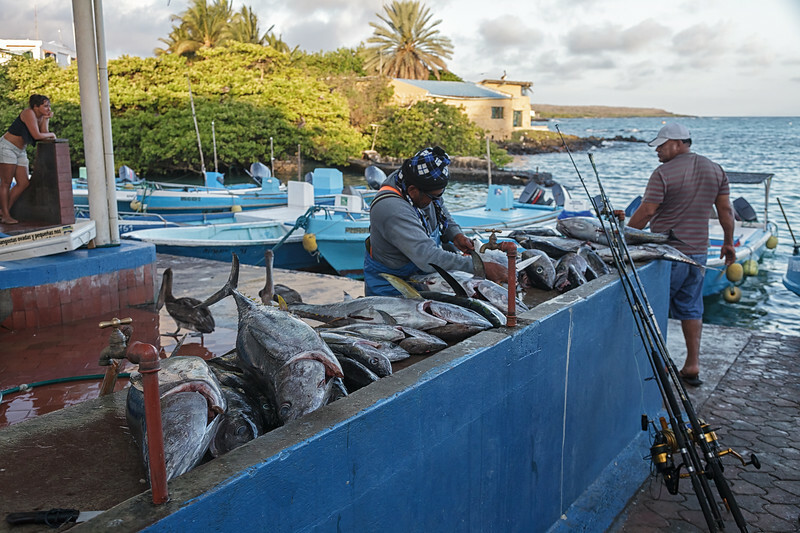 Tuna being cleaned and fileted at the fish market in Puerto Ayora. 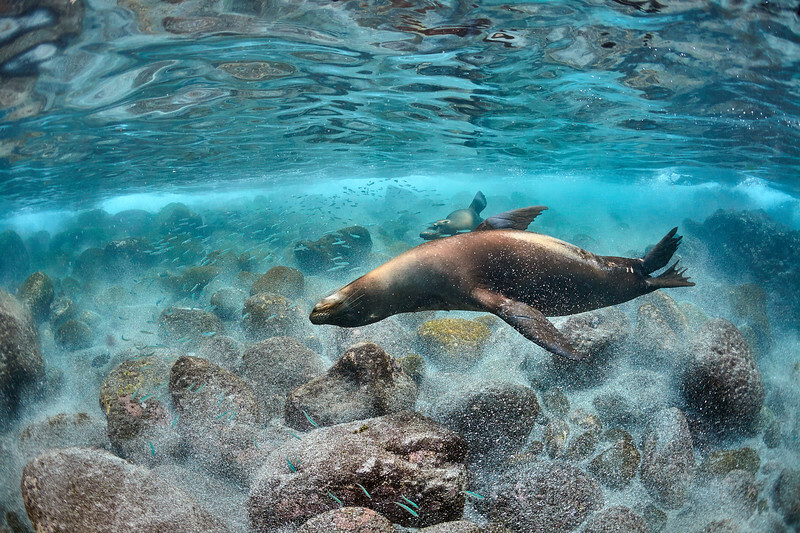 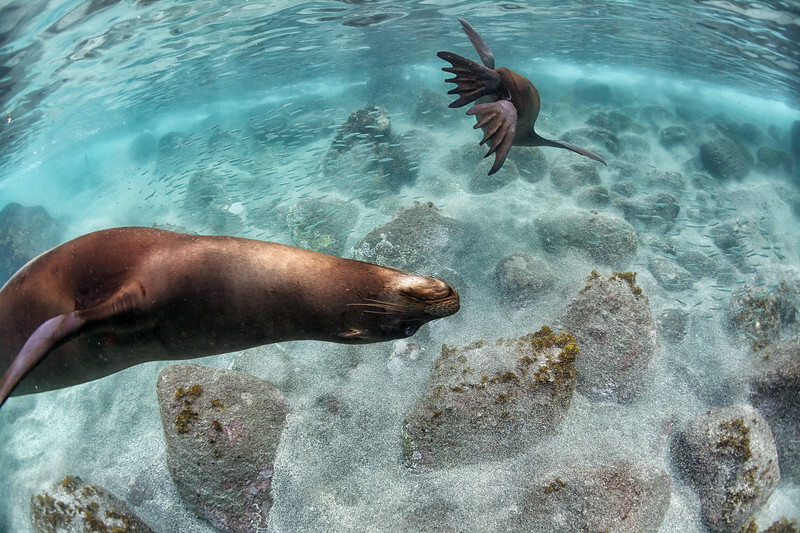 Sea lions are underwater acrobats - it helps them catch the small, fast fish they prey on. 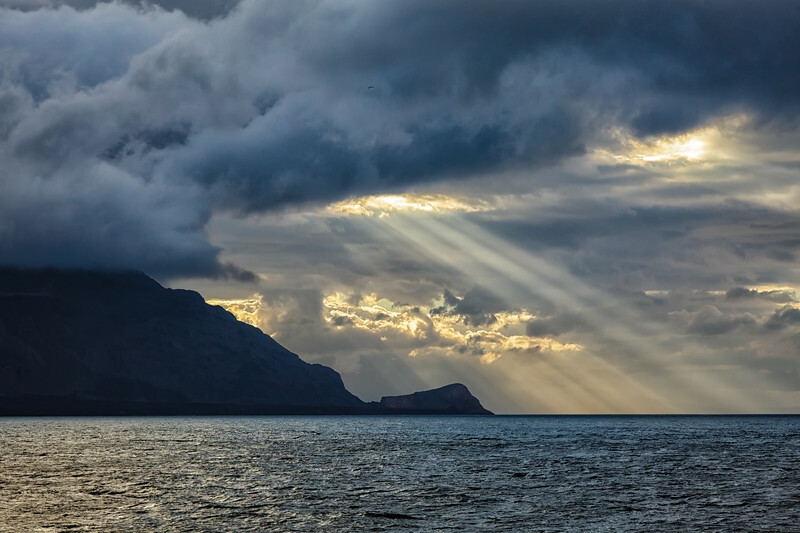 Rays from the sunrise at Punta Vicente Roca, Isla Isabela. 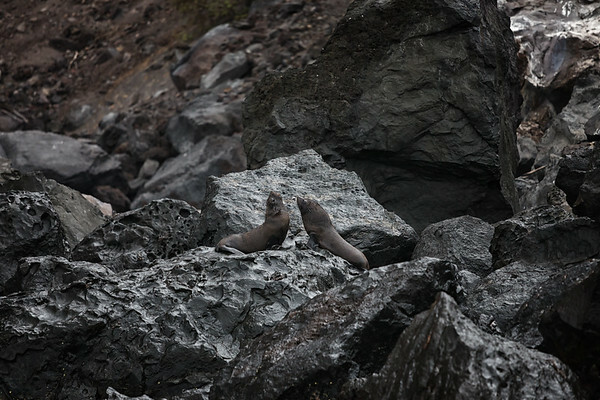 Sea lions being a little agressive towards each other, Punta Vicente Roca, Isla Isabela. 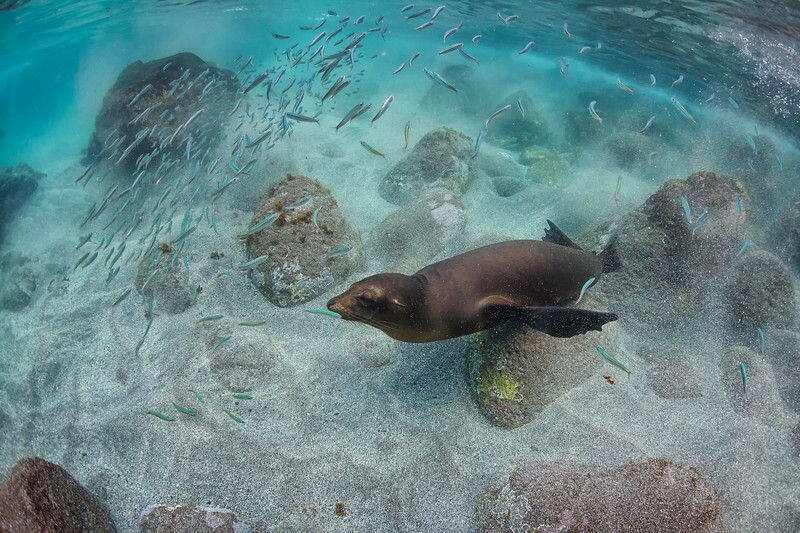 A sea lion feeding at Isla Española. 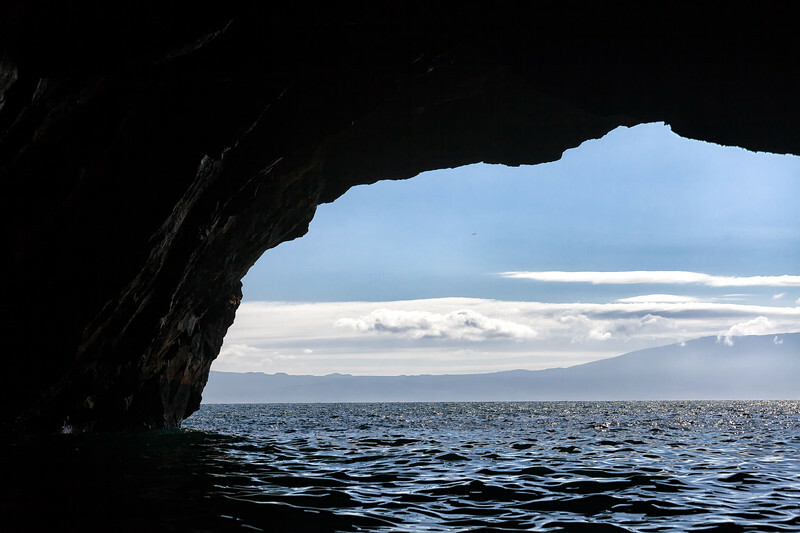 Looking out from the volcanic cave at Punta Vicente Roca, Isla Isabela. 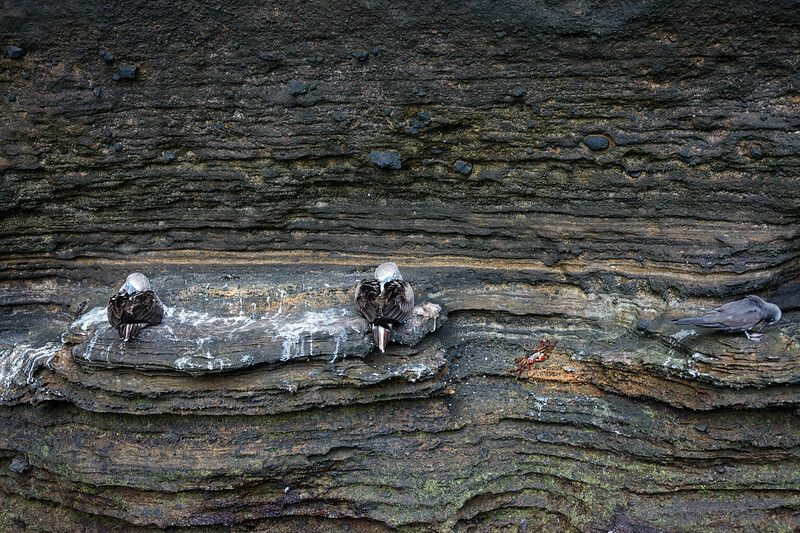 Two blue-footed boobies, a Sally Lightfoot crab, and a common tern on the cliff wall at Punta Vicente Roca, Isla Isabela. 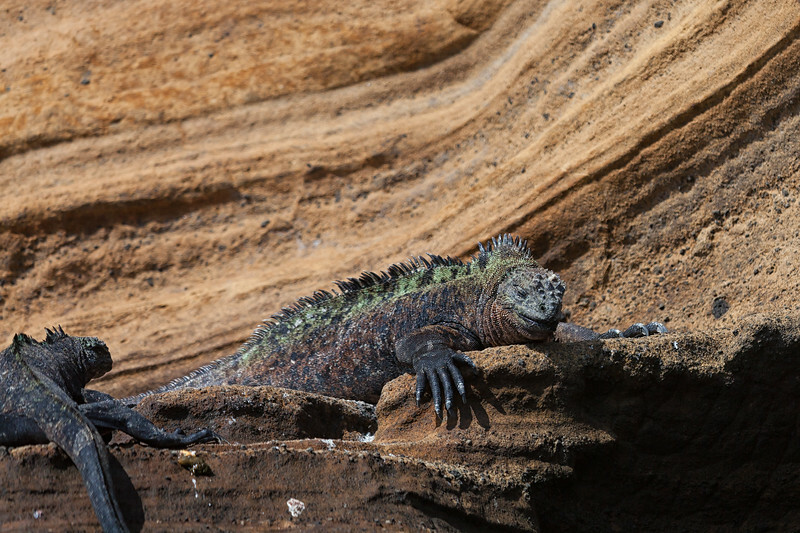 Marine Iguanas on the cliffs at Punta Vicente Roca. 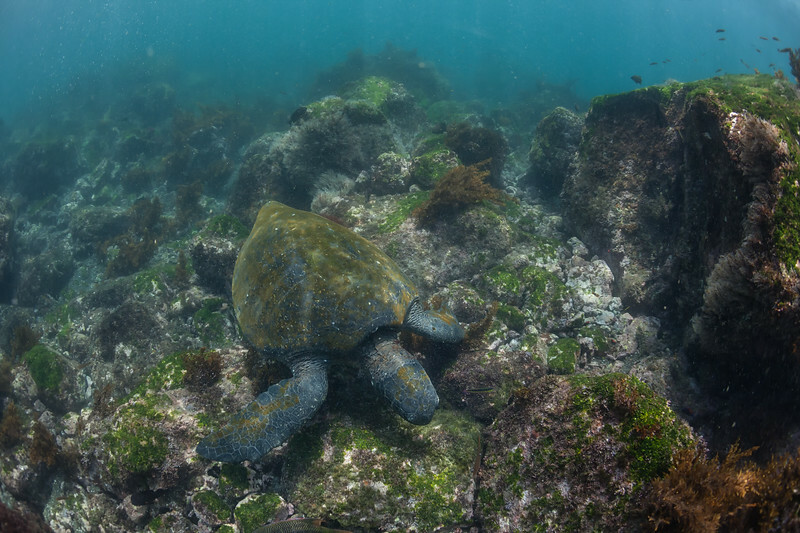 Green sea turtle feeding at Punta Vicente Roca, Isla Isabela. 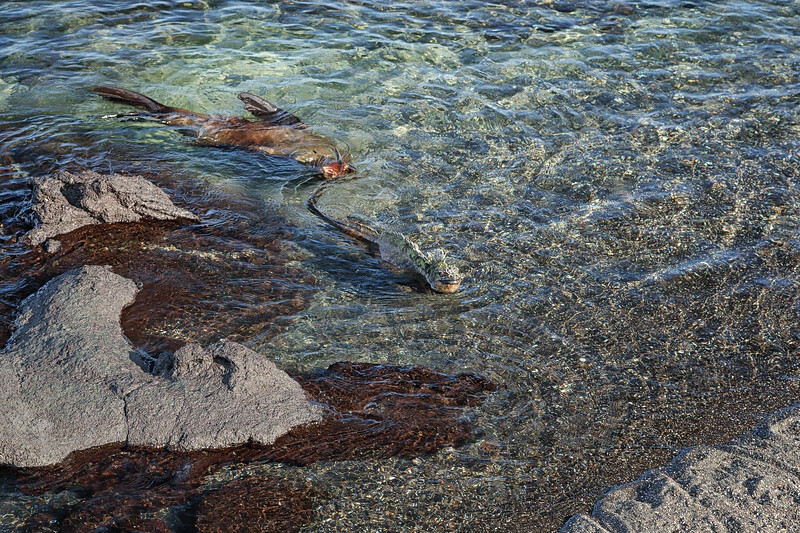 Marine Iguana swimming at Punta Vicente Roca, Isla Isabela. 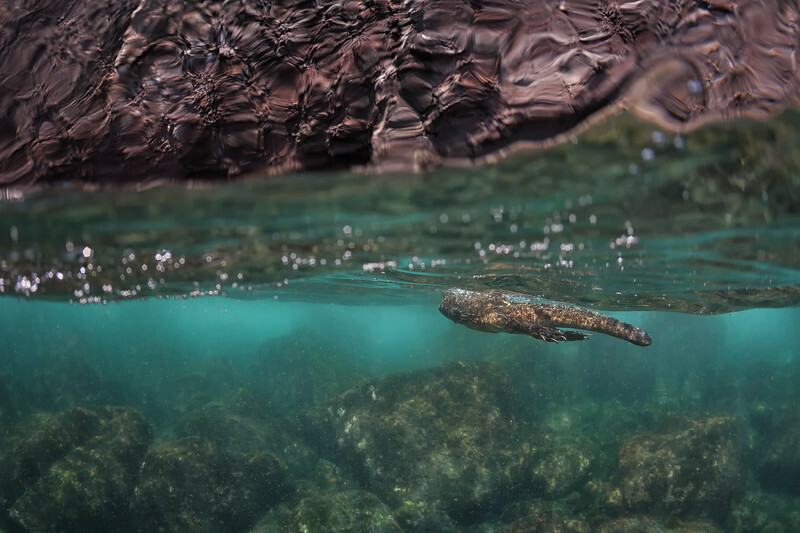 Young Galápagos sea lions play games with the marine iguanas, catching them by the tail as they swim across the tide pools. 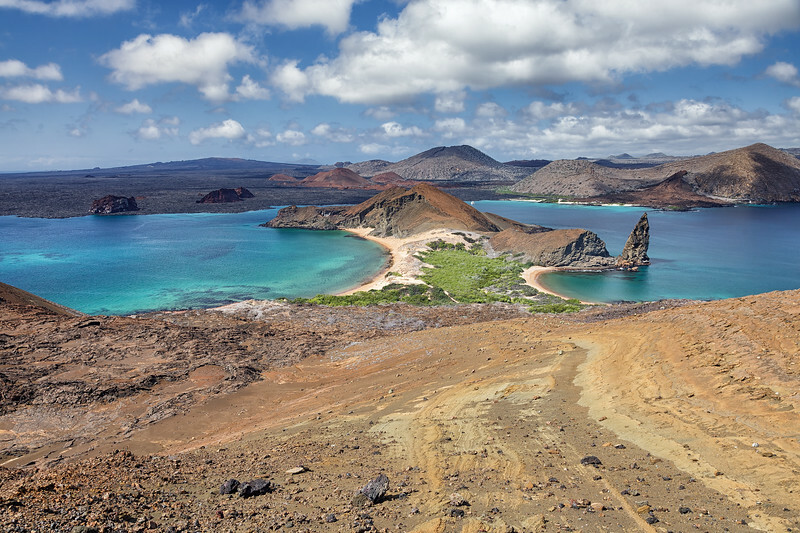 Young ducklings take refuge under the shell of a Galápagos Tortoise on Santa Cruz Island.